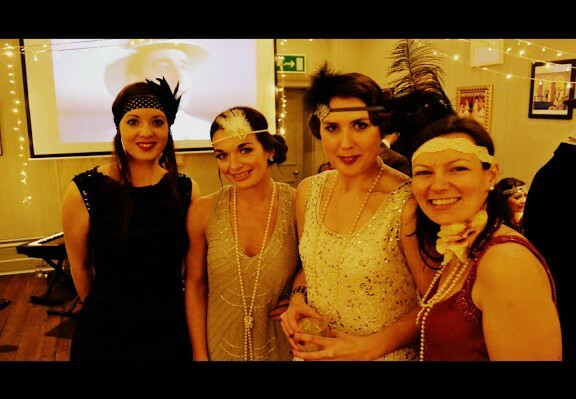 Thinking of throwing a 20s themed Christmas party this year? The opulent surroundings, endless cocktails and lively music of a lavish Gatsby style bash is the perfect theme for Christmas, and Silk Street Swing are the ideal band for the occasion. 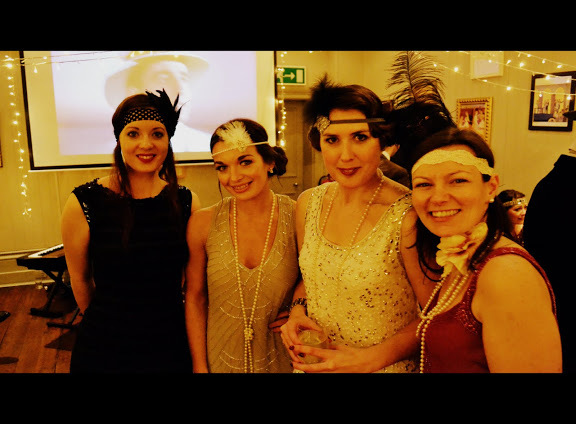 We are currently taking bookings for Christmas 2013 and would love to talk to you if you’re planning a 20s themed Christmas party. We believe we provide the best 1920s Great Gatsby Christmas Party Entertainment. Early swing music was the soundtrack to the 1920s. 20s swing is jazzy, lively and rhythmic, making it perfect for dancing! (Have a listen). Check out our different line-ups to see which combination will best suit your event. For laid back background music choose a duo or trio or and for a full night of foxtrot and charleston, be sure to choose our 5 piece band and singer! We can provide our own authentic flapper girls, the Silk Street Flappers too! Our experienced band members are professional full time musicians and provide music for hundreds of events every year. We are dedicated to enhancing your event in every way, and are always delighted to chat with you about your unique needs. We appreciate the importance of cost and have videos and audio for you to listen to. If you’d like to see what our previous customers thought, take a look at our reviews page. Call us today on 0800 756 5512 for 1920s Great Gatsby Christmas Party Entertainment or fill in our online enquiry form for a quick quote.